"Your child's safety is something we take very seriously. All of our child care workers have been screened and have completed full background checks. Please check out the three different facets of our nursery below." We have an area fully furnished with changing tables, rocking chairs, and toys. You can take ease of mind in knowing your little one is secure and with our fantastic team of ladies who take pride in this area of our ministry. 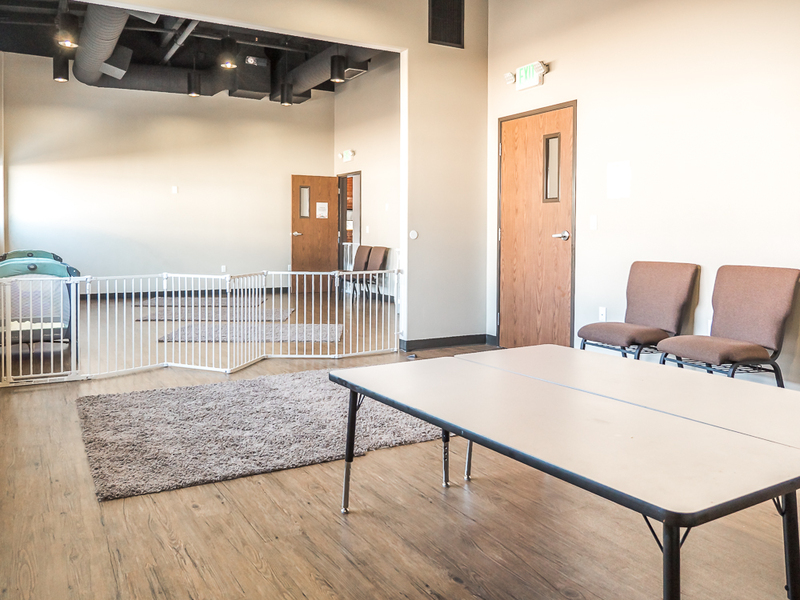 We also have a mom's room attached to our sanctuary and a private nursing room behind a one way window that allows new moms to be with their baby. This huge vibrant space is for unstructured play with lots of fun toys and caring nursery workers who engage with the kids! This is a well structured nursery area with an actual class, an age appropriate Bible lesson, prayer time, songs, and a craft.